I have a home business producing air dried beef (Biltong) in various flavours; Chilli, Chilli & Garlic, Garlic and the most popular Original. I have approval from the Oldham Council to produce the Biltong from my premises. Biltong is a low carb, low fat & high protein product and is used by athletes, sports enthusiasts and body builders. It�s also popular in all outdoor pursuits including camping, fishing, hiking, cycling, climbing and many more. It�s also used by Diabetics and is handy to be kept in lunch boxes to be used as a tasty treat. Unlike Beef Jerky, Biltong is not cooked. It�s air-dried, thus retaining a high protein level It takes roughly 200g of beef to produce 100g of RTE (Ready To Eat) Biltong. With this reduction of Water Content the Protein value is very high, ranging from 40g per 100g of Biltong, to over 60g of protein per 100g of Biltong. The Fat Content ranges from 14% per 100g of Biltong, to just under 5% per 100g of Biltong, of which just over 2g is saturates (the reason for these fluctuations in food value, is in relation to how long the meat is dried for). This air-dried snack is not be used as a substitute for a varied diet, but nevertheless, is ideal for anyone looking for a nutritious high protein snack. Biltong can be used for Physical Fitness, because with very little fat and no artificial preservatives, this snack is a great addition to a low carb diet, or any diet that involves working out on a regular basis. Biltong will give you the protein to maintain your energy levels during workouts; whether it�s weight lifting, cardio routines, or walks to keep you healthy and strong. Biltong will give you the protein if you undertake any exercise regime with the goal of building muscle. This protein intake through the consumption of Biltong gives your body the building blocks to build muscle, without taking from other parts of the body. Individuals who exercise, or work out to maintain optimum fitness, need a great deal of protein than others to get the best results. In the fitness world, meat itself often gets a bad reputation, but this is due to way its cooked. Biltong is not cooked, it�s air-dried, therefore the nutritional benefits are concentrated and results in high a quality snack, which can help minimise feelings of hunger and decreased overall energy intake, with very few of the negative aspects. Many of my customers are Body Builders, Cyclists, Personal Trainers and Sports Dieticians. They highly recommend it. 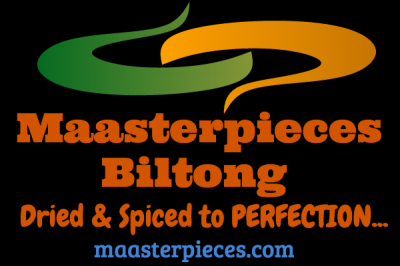 I�m able to deliver locally in a radius of 15 miles and my turnaround for orders of fresh Biltong is 7 - 10 days. I�ll be able to provide you with samples of the Biltong product.